Welcome to Toledo Bend Boxers! We live on a rural farm in the small community of Negreet, LA. 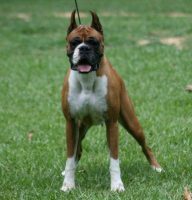 We take pride in the quality and care of our AKC registered Boxers. Each dog receives special and individual treatment and care. 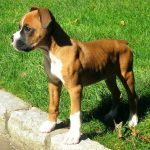 We are individual breeders with a passion for Boxers. 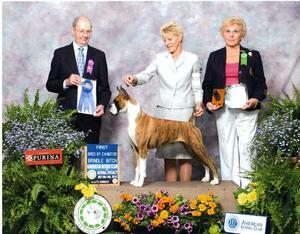 Each dog is raised as part of our family and is very familiar with both adult and children interaction. 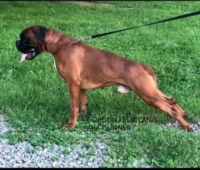 Bayou Boxers is a small but very dedicated breeder located in west Monroe,Louisana. 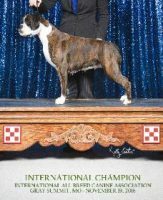 We strive to offer the best possible boxer puppies for the show ring, a family pet or home companion. 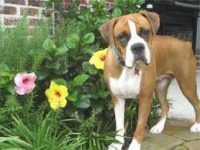 At Bayou Boxers, we do our best to get to know the personalities of each individual puppy to better help you pick the right puppy for your needs. Our puppies are well socialized in a family environment and have lots of land to run and play. We are George & Mary Schaeffer. 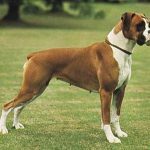 Owners, breeders, trainers and lovers of this wonderful Boxer breed. 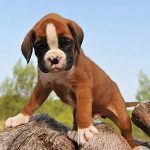 Boxers are our life, our family, our joy! Through responsible, dedicated and strategic breeding, we maintain the breed standard while striving to improve traitsin conformation, temperament, health, personality, and drive. 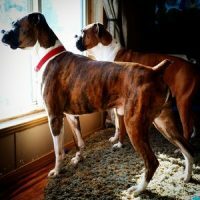 We want others to experience the joy of sharing your life with a boxer. I’m Brenda Stuckey, and I live in Jonesboro, a small town in North Central Louisiana. 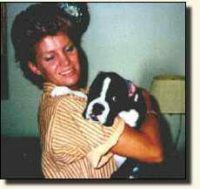 Although I was very enamored by the Boxer breed as a child, being close friends with my step-sister’s big fawn sweetheart “Rocky”, I did not have one of my own to love until my husband presented me with “Ripple” for Christmas in the late 1970’s.